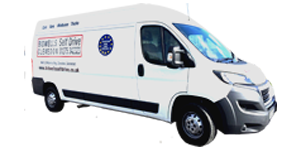 Bidwells offer a wide choice of vans to trade and private customers in and around Clevedon, Portishead, Nailsea, Yatton, Congresbury and Weston-super-Mare. When it comes to van hire Bidwells should be your first choice, we are a local family run business, offering a 'first class' service at very competitive prices. Ideal for moving all sort of things. Side loading door, 3 seats, Air Con, Sat Nav, Bluetooth, Reversing sensors. Large van for all hiring needs. Ideal for house moves and commercial use. Over 21 and under 75 years of age the minimum age is higher for certain vehicles.